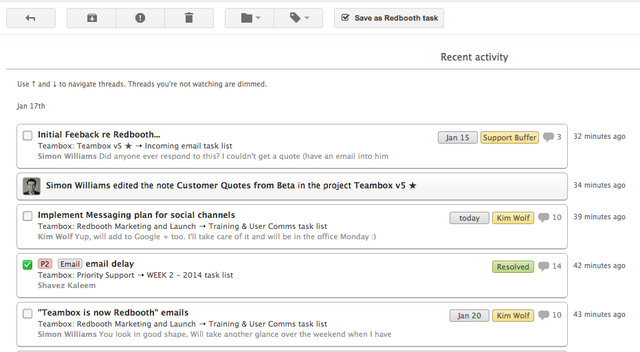 The Redbooth plugin adds Task Collaboration features to your Gmail, with a supercharged interface. Access All Tasks from Gmail. Create tasks at any moment from Gmail. Access Redbooth Apps from inside Gmail.